Palm Desert, Riverside California Car Accidents Lawyers with Over 40 Years of Experience and Success Rate of More Than 95%! Our personal injury & wrongful death accident lawyers know how overwhelming catastrophic accidents can be. Palm Desert, Riverside California car accidents cause serious injuries, substantial property damage, and sometimes even wrongful death. Our Palm Desert wrongful death, car accident personal injury claims attorneys have a 95% success rate in handling thousands of personal injury cases in Palm Desert, Riverside, San Bernardino and all throughout California. With more than 40 years of experience in handling thousands and thousands of car accident, truck accident, motorcycle accident, bicycle accident and other accident injury claims, we are a group of accident claim lawyers offering our legal services for Palm Desert , riverside and all around California. Our expert car accident injury lawyers know how to handle car accident cases, from getting damaged cars towed and repaired, total loss payments, free rental cars, immediate medical care without payment due until your case is resolved, to maximum settlements while providing legal advice and clear explanations of the claims process all along the way. To read what other clients have said about us, please see our testimonial section. Medical Care: Personal injury car accidents in Palm Desert, Riverside CA often leave victims dealing with serious injuries that require regular medical care and physical therapy attention. Our Palm Desert attorneys help clients obtain medical care, including doctors, physical therapists, specialists such as orthopedic and plastic surgeons, neurologists, dentists and psychologists; usually without any payment until the claim is resolved. Moreover, clients can seek assistance for medication, X-Rays, including MRI and CT scans, usually with no payment due until your claim is resolved. Vehicle Repairs: Palm Desert car accidents can cause heavy damages to cars, trucks, and motorcycles. Our Palm Desert car accident lawyers and law offices help with your vehicle repairs, total loss settlement, storage, towing; and if required, free car rental and loaners when appropriate. Transportation to Doctor: Our Palm Desert car accident lawyers assist clients in finding doctors, arranging appointments and, whenever required, arrange transportation for injured clients to and from the hospital, medical clinic and other doctor and physical therapy appointments. If you need transportation services, just let us know. Cash Advances/Emergency Loans: Palm Desert car accidents can exhaust your finances especially with unexpected medical bills and added expenses to take care of at a time when you may miss out on work and suffer a loss of wages and earnings. Our experienced Palm Desert car accident attorneys and law offices will assist you in receiving loans and advances to cover those additional expenses. If you or anyone you care about has been involved in a Palm Desert, Riverside car accident or any motor vehicle collision, call us right now for your FREE & CONFIDENTIAL car accident personal injury advice. You also may simply go to our contact us form and tell us about your car accident case or any other injury accident in Riverside or California. You can look through our lawyer profiles and get to know our experienced and well-qualified lawyers. Furthermore, learn about the formalities, procedures, and rules associated with Palm Desert, Riverside and California personal injury and wrongful death claims by visiting our Car Injury Accident Web Site; and for more specific help about your very own particular car accident injury case please call us now at 818-222-3400 or 1.866 INJURY 2 (after hours just dial “1”) for FREE & CONFIDENTIAL consultation on your car accident injury case. 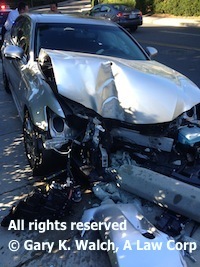 Remember, our car accident injury lawyers offer FREE legal consultations and evaluations on Palm Desert, Riverside and California car accident claims and take our clients’ cases on a contingency basis, which simply means there is NO fee until you WIN! Palm Desert is a city in Riverside County, California in the Coachella Valley that is approximately 14 miles east of Palm Springs and 122 miles east of Los Angeles. 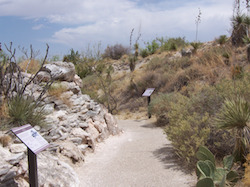 As per the 2010 census, Palm desert has a population of 48,445. The city was one of the states fastest growing cities in the 1980s and 1990s beginning with 11,801 residents in 1980, doubling to 23,650 in 1990 and 35,000 in 1995. Palm Desert is popular retreat for snowbirds from colder climates, who swell its population by an estimated 31,000 each winter year. In the past couple of years, Palm Desert has seen more residents become full timers mainly from the coasts and urban centers of California, who have come for both affordable and high-valued home prices. There are many celebrities who keep their homes in Palm Desert, including Rita Rudner and more recently, the current home of professional golfer Michelle Wie and one of the homes of Bill Gates. The famous film producer Jerry Weintraub called Palm Desert his second home before he died. With only 1,500 permanent residents, the community was incorporated on November 26, 1973. 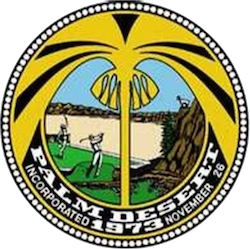 At the time, Palm Desert was a master planned community situated in the desert that used to stretch from Palm Springs to Indio. The city has a total area of 27.0 square miles, out of which 26.8 square miles is land and 0.2 square miles is water. Palm Desert is a multi-ethnic community with affluent African-Americans, Latin Americans and Asian Americans. There are also populations of Arabic, Cuban, German, Irish, Italian, South Americans and a few more. The largest international ethnic group in Palm Desert are Mexicans. 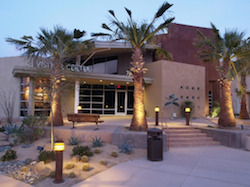 Palm Desert has several elementary schools and recreational parks to give its residents a wonderful living experience. Here are some of our wrongful death & personal injury law firms’ credits, awards and accomplishments. Won monetary settlements of over $100,000,000.00. Having better than a 95% success rate in personal injury and wrongful death accident claims (Past success is no prediction or guarantee of any future results). Served at California Superior Court in the capacity of Arbitrator. For an easy, free and confidential consultation, fill-in the details in our contact us form and fill us in on your Palm Desert CA car accident or any other injury accident claim in Riverside or California. As you see, we offer an absolutely FREE & CONFIDENTIAL consultation AND there is NO fee unless & until you win. We work on a contingency fee for our legal services on injury accident cases, which means there is NO FEE until You WIN, so you do not need worry about money!